The appreciation of any film is always going to be highly subjective, or perhaps it will become so if it's any good. I sometimes think a truly great film should have the kind of emotional impact that leaves you unable to view it objectively, and paradoxically leave you wondering if it's as good as you think. Does that make any sense? Nevertheless, on browsing the IMDB website I am surprised when I discover that a film such as K-PAX is rated more highly than Fearless. K-PAX is a fair film but on a second viewing it's hardly a classic. Fearless on the other hand is one of the best films I have ever seen. With the exception of Tom Hulce, whose role of a money grabbing lawyer is a gross caricature (who'd have thought that was possible? ), it's better by any measure, including narrative. The story of how a survivor of a plane crash comes to terms with, and whose personality is changed by the event is more challenging (and rewarding) than yet another tale whose backdrop is set around the wacky inhabitants of a mental institution. So why is K-PAX rated more highly? It's not the Kevin Spacey affect. There's no doubt he's a fine and popular actor but The Shipping News, also featuring Spacey, is a better film that again achieves a lower score. I believe it's the setting that swings the vote. I think audiences are comforted by portrayals of slightly odd or even strange people, who are at the same time often endearing and never threatening. It's not grounded in reality, in some ways it's insulting, but this is a film whose primary purpose is to entertain. Since this isn't in itself a bad thing I'm not going to be too harsh. 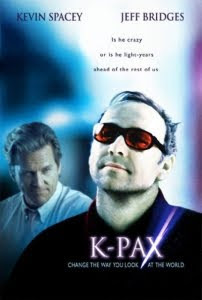 K-PAX isn't a bad film; in fact it's quite good. It redeems itself with an ambiguity that is preserved right to the very end, which is always a good sign. Fearless on the other hand is much more. When I was in the sixth form my school was visited by each of the major political parties and the Liberal party. I can't remember much of what was said but I do remember that they didn't exactly cover themselves in glory. As befits a Liberal party spokesperson I can barely recollect what they said. I do vaguely remember a comment about proportional representation but that's rather par for the course. Given that I like our parliamentary representatives to be true representatives of, and directly accountable to their constituencies, the Liberal party was always going to have a hard time winning me over. The Conservative party spokeswoman rather embarrassingly replied to a question on unemployment by saying that it was "the price of freedom". Oh dear! I seem to have air-brushed the rest of her presentation from my memory, which is probably just as well. I was reminded of this visit recently whilst listening to a political commentator on the radio. The basic gist was that the makeup of the electorate was roughly the following; 30% would always vote Labour, 30% Conservative, 10% Liberal and the remainder would be undecided. 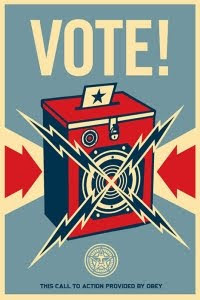 As a result, he argued, political parties had become savvier in targeting those precious floating voters. So I wondered; had there been an outstanding spokesperson all those years ago would it have made a difference? I'd like to think so. Though the representations were uniformly bad, they were from people who at least gave you a flavour of what their party represented. Back then there was a little less nous which made it a lot more honest. Nowadays there is more shrewdness, voters are more cleverly targeted but with the unfortunate consequence of a homogenised offering from parties that have all turned a lighter shade of beige. In the Spike Jonze film Adaptation Nicolas Cage plays Charlie Kaufman, a screenwriter with writer's block, whilst also playing his less talented but soon to be more successful twin brother. 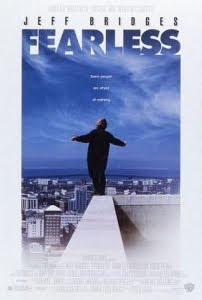 It's a great film that provides a clever literary conceit to its screenwriter (of the same name) and also to a previous film from the same director, Being John Malkovich. I would love to be able to write something as funny and cerebral as Malkovich or Adaptation but, if I were to push this fantasy, I would wish for something more traditional. 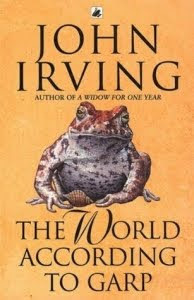 John Irving described it best when he said of The World According to Garp that he hoped it would "break a few softer hearts". Alas I am not a writer. Like the fictional Charlie Kaufman I haven't a clue what to write; though unlike Charlie Kaufman, when I finally have something to say I won't know how to say it. I suspect that if I had the aptitude my dreams would be more earthly bound.